Anna Saeki presents her world to you! From Tango to a rather new world. Anna's trajectories in creating her music was led by various miraculous encounters!! Anna Saeki delivers "On the Wings of the Soul" to you. 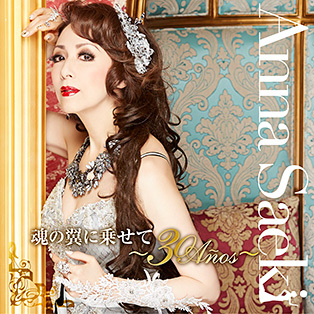 This CD includes a total of 12 songs; 10 songs including famous Tango and Folklore songs, an original song created for Anna Saeki and 2 bonus tracks. In addition to a dramatic arrangement of Anna Saeki's debut song "Tango of the Yellow Rose," Anna Saeki breathed new life into her collection of songs with new arrangements and her translation. "Con las alas del alma" which Anna Saeki sang in the last scene of the stage play "Anita Inner World Evolution," moved the entire audience at the theater. It is a must listen.